Although we've clearly come a long way from the very first chatbot -- which was named ELIZA and developed in the 60's by Joseph Weizenbaum at MIT -- we still think of them primarily as a customer service tool. So why are an increasing number of big name brands and SMBs using chatbots in their sales cycle? Let’s take a look at the world of AI and how chatbots can redefine and improve your sales cycle. A chatbot is a mix of computer code and artificial intelligence. This code controls a set of predefined responses, meaning your chatbot can answer queries through a chat interface such as Facebook Messenger, Slack, or a chat window on your website. Using artificial intelligence and machine learning techniques, the chatbot learns and improves the accuracy of its responses over time - that is, it gets smarter. Chatbots are often used to respond to customer support queries, but have also proven increasingly valuable at different levels of the sales funnel. By asking basic questions, a chatbot can gather for example valuable lead scoring data (job level, company size etc.) from prospects. Based on this data, promising prospects can then be automatically passed on to sales reps.
Messaging apps overtook social media in quantity of monthly active users in 2015. They reached around 3.75 billion monthly active users in Q1 2017; for social media this figure was around 3.25 billion for the same period. As of January 2018, the top 4 messaging platforms are estimated to have 4.4 billion monthly active users. Messaging platforms have evolved as a natural way for businesses to interact with potential customers. Facebook Messenger ads soon followed. Sales AI can make sense of all the data gathered on a prospect or lead and automatically sort it based on the chance of success. Sales chatbots can integrate into this automated process, freeing up valuable time for sales reps. In a UK survey, the biggest reason customers are likely to switch brand is poor customer service with 3 out of 4 consumers agreeing. In the State of the Connected Customer report, 80% or respondents expected that customer support teams to respond immediately. At the same time the report found that 75% customers expect familiarity at every touchpoint and a multichannel experience -- so not only immediate customer support, but across every device as well. This data supports the popularity of chatbots, as they can be used to respond immediately and across all channels. In fact recent data shows that 9 out of 10 users want to be able to speak to brands directly through a messaging interface. Additionally, more than half of US users between the ages of 18 and 55 have already interacted with chatbots, according to a recent survey. Gated content → collect email address → pass leads on to sales team. But what about the time between gaining the email address and actually reaching out? First leads have to be prioritized in a CRM software’s database and then allocated to a sales rep. In some cases, it can take days, and your sales reps will only have minimal data to work with. Data suggests that consumers are likely to switch brands if the sales process is not streamlined and efficient. 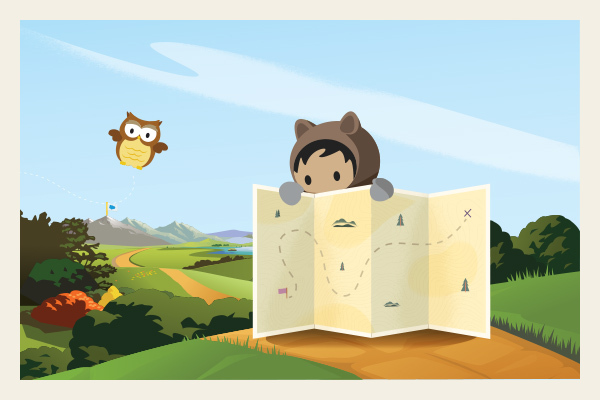 In fact, according to a Salesforce report, 64% of consumers and 80% of business buyers expect to interact with your brand immediately. The lead generation flow looks a little different with a sales chatbot. A sales chatbot can start an interaction with anyone who visits your website or your company facebook page. This turns any website visitor into a potential lead, not just those who download your content. A chatbot can ask users basic questions that can be used for lead scoring, such as company size, industry sector, and so on. Advantage: This interaction happens in real time. If a prospect meets the right criteria they can be transferred to a sales rep immediately. Imagine you visit your favorite food site’s Facebook page. A chatbot can open a dialogue window in Facebook Messenger asking if you’re looking for a specific recipe. Based on the response, the chatbot can present a selection of recipe options. When the user clicks on one of these suggestions, it takes them to your website, driving organic website traffic. Advantage: With the chatbot starting the interaction, you engage many more users than relying on organic searches alone. By linking basic questions and responses to your content, you create a powerful traffic generator. Chatbots can combine customer service and sales. Say you were ordering a pizza—a chatbot window could open with the option to track your order, offering a higher level of customer service. If you visit the site or app again, the same chatbot, knowing your food preferences, can ask if you want to order the same pizza again in just one click, making the sales process quick and convenient for the customer. Advantage: By combining customer support and sales, you are meeting all of the customers needs in one place. Chatbots can interact differently depending on which landing page a user interacts with. For example, when a user visits a jeans product page on the Levi’s website, a chatbot can help the user find the perfect pair of jeans. Also Items can be added to the cart from within the chat window. Advantage: Offering recommendations based on user behaviour can create a much more individualized customer experience and lead them to the product they’re looking for. Chatbots can actually be linked to payment software. That way, if a customers likes a product recommendation, they can order and pay for it straight from the chat window. Advantage: All interactions happen in one window which streamlines the checkout process. This offers a better customer experience. The chatbot can show users a calendar and even schedule a call with a sales rep -- this appointment would then appear automatically in the sales reps calendar, along with important lead scoring data. The chatbot can also connect a prospect to a sales rep in real time, allowing them to interact directly in the chat window or arranging for a phone call right away. Advantage: By allowing chatbots to connect leads to sales reps, only leads who meet certain criteria are elevated. This streamlines the sales cycle and reduces a large amount of admin for your sales team. Your sales team is irreplaceable. While chatbots can handle many basic tasks such as lead data collection, your sales team needs to handle complex questions, more detailed product descriptions and most importantly closing deals. Human interaction is still the cornerstone of the sales cycle. As you can see, chatbots can help streamline your sales cycle. By freeing up valuable time, your sales reps can focus on what they do best: being human. This means they can concentrate on nurturing leads and closing deals. This post is part of our Navigating the Sales Cycle series. Download the e-book and discover the 7 steps to sales success.